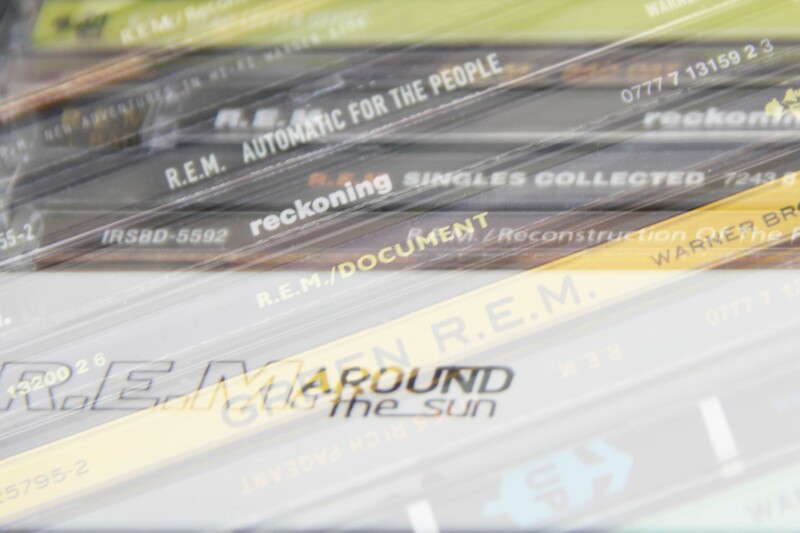 R.E.M might be ready to Begin the Begin to retire but the new songs included on their definitive collection still sound like classic R.E.M ballads which is comforting. I give props to R.E.M for still having the song writing ability to remain as consistent as if they were writing music for albums in their I.R.S Records years. While I liked the songs they selected for the definitive collection, I still feel like they exclude those real gems from the I.R.S. Records years like Feeling Gravity’s Pull, Auctioneer, Carnival of Sorts, Stumble, 9-9 and Lightin’ Hopkins. I’m one of those fans that will never grow tired of owning the same great songs compiled in a different order. Even if I do already own that song on ten other albums in live and acoustic versions, and I’m pretty sure I do. I listened to the new songs and A Month Of Saturdays was upbeat and gritty. The song reminds me of something that I would have heard included in their 1987 release Dead Letter Office. The second song We All Go Back To Where We Belong was ok and had the same feel from their 1997 album UP . But it was Hallelujah that stood out and I absolutely loved the song instantly. Thank you R.E.M for giving me just one more for the road. Michael Stipe’s voice on Hallelujah gives me one more reason to love his vocal talent. His voice has always sounded distinct and it never ceases to amaze me. I really could never compare his singing style to any other artist that I know. I also think he created the best way to sing the word hallelujah, without sounding like a church choir boy!